Did you catch our previous advice for avoiding and containing ransomware? Today’s digital businesses are facing this pervasive threat like never before, and there are a wide variety of security tactics that can improve your security strategy. Keep reading for five more tips that will help you avoid a destructive ransomware attack. Network administrators that work with Active Directory environments and are familiar with Group Policy can configure a GPO using Software Restriction Policies (SRP) to offer a level of protection against ransomware. While a Software Restriction Policy is effective in stopping a known file type, new threats are constantly introduced that utilize new file paths and file types. Another effective method against ransomware is to whitelist the allowed applications for your devices. Any application or executable file not on the list cannot be executed on the designated devices, period. A popular tool to implement this is AppLocker, although it is only available on select Windows OS versions (Enterprise and Education.) This is a very viable solution for organizations that disallow users to install their own applications. White listing can also be applied to your web filtering policies. In this instance, users can only access approved websites that reside on the list. Although this may seem extreme, it’s not that uncommon for enterprises in the finance or healthcare industries, with extra-sensitive data to protect. Device Guard was recently introduced in Windows 10 and provides an even more secure means of application whitelisting. When implemented, this software only allows applications signed by a certified publisher to run. This means that you must supply a certificate for every application in order to approve it. Unlike AppLocker, which could be accessed by attackers with administrative privileges, Device Guard operates within a virtualized container in order to protect itself. However, Device Guard has specific hardware requirements and does require considerable configuration and testing. Simply put, security training is crucial, as your network’s users are the weakest security links. While team members’ actions can be a danger, they are also your first line of defense. Take the time to hold short training sessions in order to teach them how to identify suspicious emails and teach them the value of proper email procedures such as the practice of typing URLs into a browser rather than simply clicking their embedded links. With the devastating costs of ransomware and security breaches today, a 30-minute training session repeated throughout the year is not a lot to ask and can be extremely valuable. 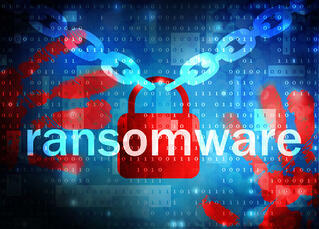 Has your organization adopted any of the above security strategies against ransomware? We’d like to hear about your approach. Please share in the comments below and contact the WEI team if you’d like to learn more about strengthening your enterprise’s security.